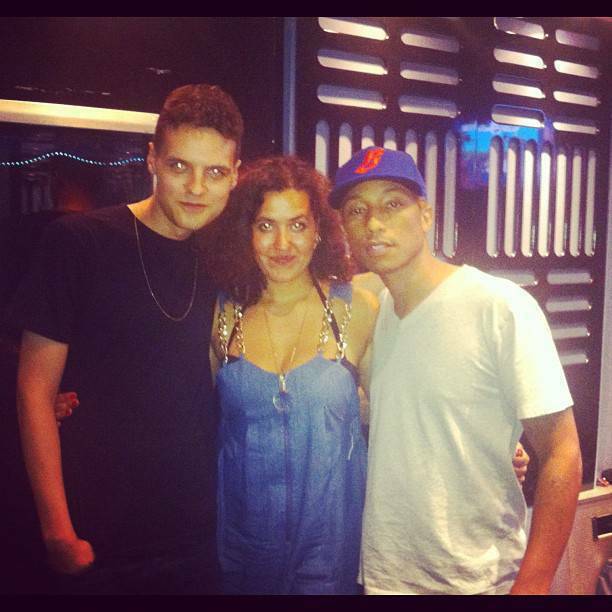 Quadron has been spotted with Pharrell in the studio this morning, to work on some new muzika. Quadron is a Danish duo consisting of singer Coco Maja Hastrup Karshøj and musician/producer Robin Hannibal. The group calls itself and the music they provide, electronic soul. When Quadron are not acting as a duo, both are part of an electronica collective, Boom Clap Bachelors, who in early 2008 released the album “Just Before Your Lips.” thanks to matty.